For patients at risk of pressure ulcer development, choosing the right pressure relief product is crucial to providing adequate care. 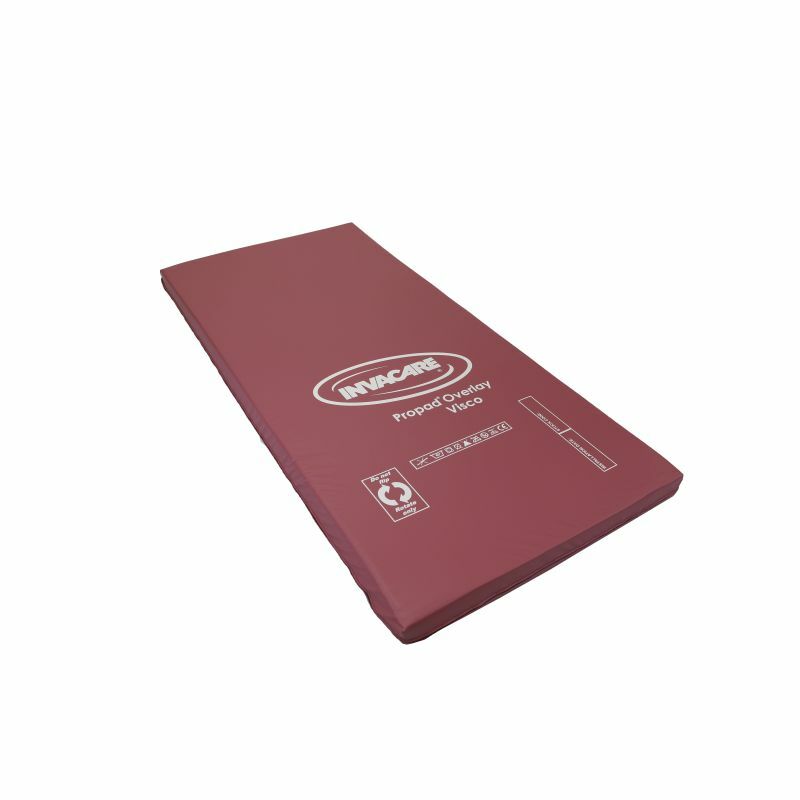 Designed to be positioned over the original mattress, the Invacare Propad Visco Pressure Relief Mattress Overlay is an ideal choice for high risk patients, as the temperature sensitive memory foam conforms to the shape of the body to minimise pressure on all key areas. With a dual-layer design of viscoelastic memory foam and a robust foam base, this mattress provides excellent pressure care with a robust design that's built to last. The top layer of viscoelastic foam used in this mattress is temperature sensitive, allowing it to conform to the shape of the body after contact. This maximises the contact area, thereby facilitating pressure distribution and minimising pressure on key areas. Bony prominences and problem areas such as the sacrum and heels will be protected, greatly reducing pressure sore risk. The viscoelastic foam top layer works together with the high density foam base to provide complete support for the patient. The firmer base is highly supportive, improving the stability of the mattress and making it more durable for excellent longevity. The Propad Visco Mattress Overlay comes fitted with a multi-stretch, water-resistant and vapour-permeable cover, making it highly comfortable while allowing it to adequately protect the mattress. The cover helps to reduce shear forces while preventing falls with its anti-slip base. It also includes a white underside, making it easy to inspect to ensure full infection control.